Whether you have a cheap hunting bow from a big box store or the latest and greatest model, you want it to last a long time. Like any piece of outdoor equipment, it’s an investment that pays dividends through beautiful days spent in the wilderness. While the bows themselves are expensive, with just a few simple (and cheap) maintenance techniques, your investment can last for years. One of the most important things you can do for your bow is keep it lubricated. String wax usually comes in convenient applicators that look like the glue sticks you used as a child. Just run the stick up and down the string (but not on the servings) and then work it in with your fingers. If you do this every two weeks or so, your string will last a lot longer. 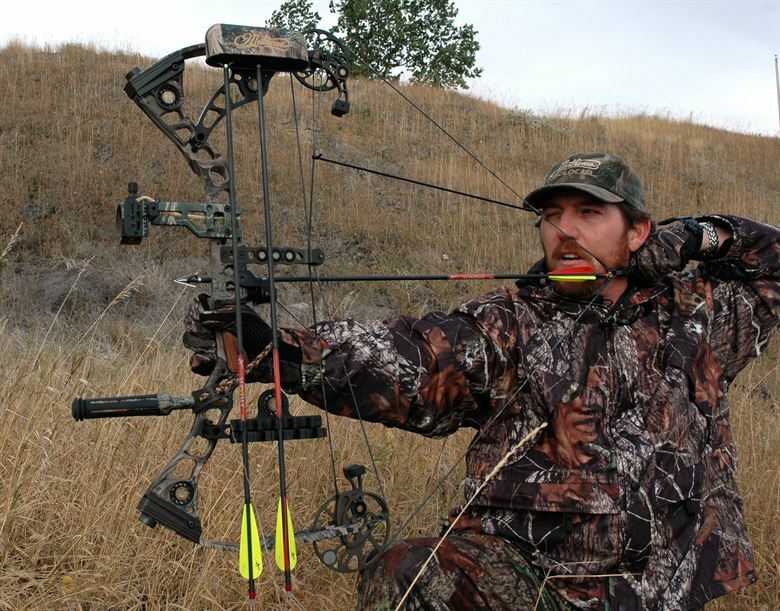 This is the most important rule for bow hunting that you’ll ever hear – never, ever, not even once, dry fire your bow. Firing a bow without an arrow can lead to catastrophic damage to your equipment and injury to yourself. Normally, the energy stored in the bow’s limbs is transferred to the arrow. A dry fired bow has nowhere for that energy to go except back through the limbs. If a dry fire does happen, you’ll need to carry out a thorough inspection of the bow to check for any damages (cracked limbs, string derailment, etc.). It’s a good idea to put on a new bow string every few months, especially if you’re shooting frequently. Waxing the string helps, but they simple wear out with time and use. If you shoot recurve, it’s relatively easy to put a new string on with a stringer tool. Compound bows are quite a bit more complicated, and you’ll probably need to visit your local pro shop to have them install it. Hunting bows are setup to have a particular draw length. Pulling a bow past its appropriate draw length leads to erratic shots and over time, damage to the bow. The problem usually arises when someone larger than you draws your bow. You see this all the time, a hunting bow leaned up against the wall in the corner of a room. It looks cool, like you’re ready to hunt at a moment’s notice. Unfortunately, it’s also not very good for the lifespan of your bow. The ends of a recurve bow or the cams on a composite are sensitive pieces of equipment, and you don’t need the weight of the bow, light as it may be, pushing down on them. Always store your bow in a padded case, preferably in a horizontal position. Recurve bows are meant to hold tension in their limbs, and the limbs will slowly lose their ability to hold that tension if you leave the bow string connected at all times. The string will permanently bend the limbs and require a longer draw to apply the same amount of force to an arrow. You should remove the bow string after every shooting session. This even applies if you think you’ll be shooting as soon as the next day. Fortunately, it’s not that hard to string a recurve bow, especially if you have a bow stringer. If it’s been awhile since you last shot your bow, it’s time to give it the old once over. Start by inspecting the limbs – look for any cracks or bubbling, and if you find any damage, take it to a bow shop immediately. Limb failure at full draw can be very dangerous. Next, check the string and cables, if there’s any fraying, you’ll need to replace them. Now it’s time to check some measurements; when you get your bow tuned it’s a good idea to take some measurements of the axle-axle length and brace height of your bow. Later on, you can check against these measurements to make sure nothings out of whack.